"I used to do Facebook but you get a little too wrapped up in that stuff. Its more distracting than anything so I don't any more. I left it behind. I detoxed!" 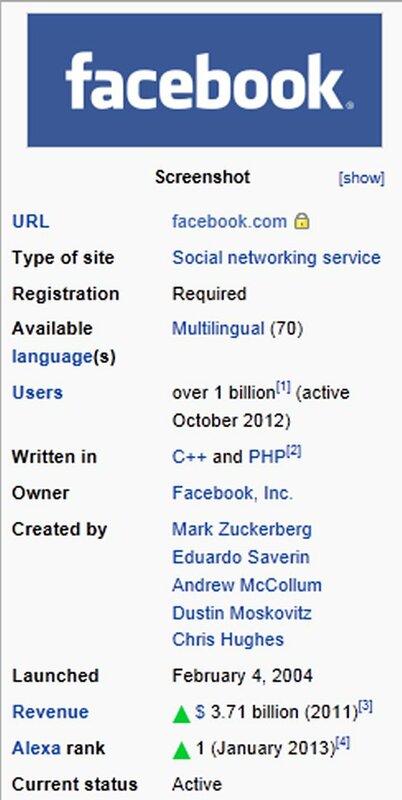 Happy Birthday Facebook! Any Google doodle this year? Facebook that controversial social networking service with media, social, political and cultural implications launched February 4, 2004,(speculative as some say February 3) and turns 11 today. 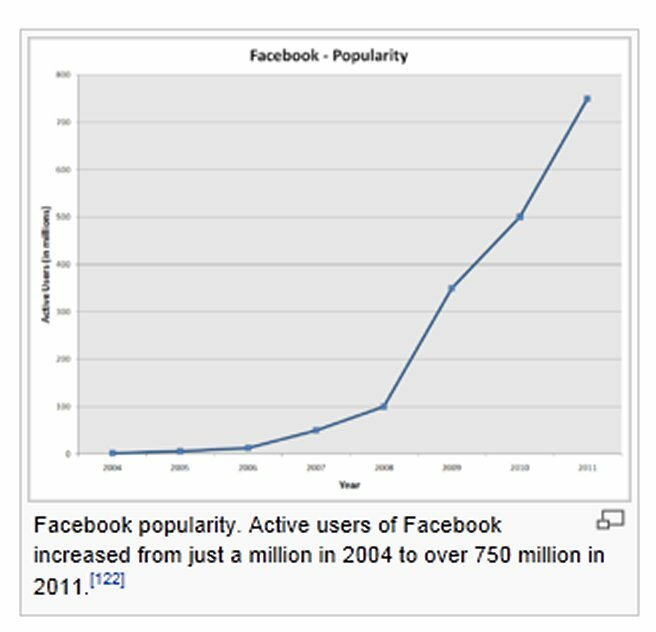 According to The Statistics Portal, Facebook had 1.35 billion monthly active users as of the third quarter 2014 versus third quarter of 2012 whereFacebook users had surpassed 1 billion. The latest Facebook, Inc., Fourth Quarter and Full Year 2014 results reports gross revenue for the full year 2014 at $12.47 billion, an increase of 58% year-over-year. Income from operations for the full year 2014 was $4.99 billion and net income for the full year 2014 was $2.94 billion. 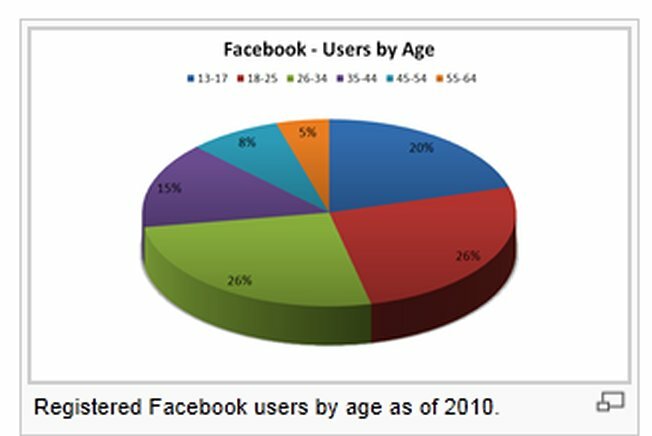 Facebook at 11 years later is still the top social network site with nearly 1.350 billion users (3rd Q 2014) yet Facebook still has many issues as it pertains to user experience and engagement. 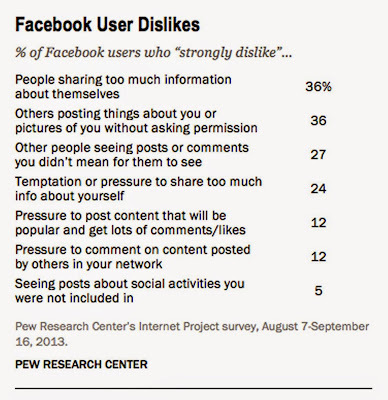 According to a 2014 Pew Research Study, people posting too much about themselves and posting too much about other users tied for the highest "Facebook User Dislikes." Interestingly, 2014 marked the highest amount of productivity, an increase of almost twice as many acquisitions, enhancements, product developments, announcements, etc. -- a total of 22 versus the 2nd highest year for productivity at only 13 the year earlier (2013). This is all in line with Facebook's goals of providing users with more value and encouraging users to post more content as well as advertisers to advertise more. ♦ March 7: Product -	Facebook announces major planned changes to the News Feed. 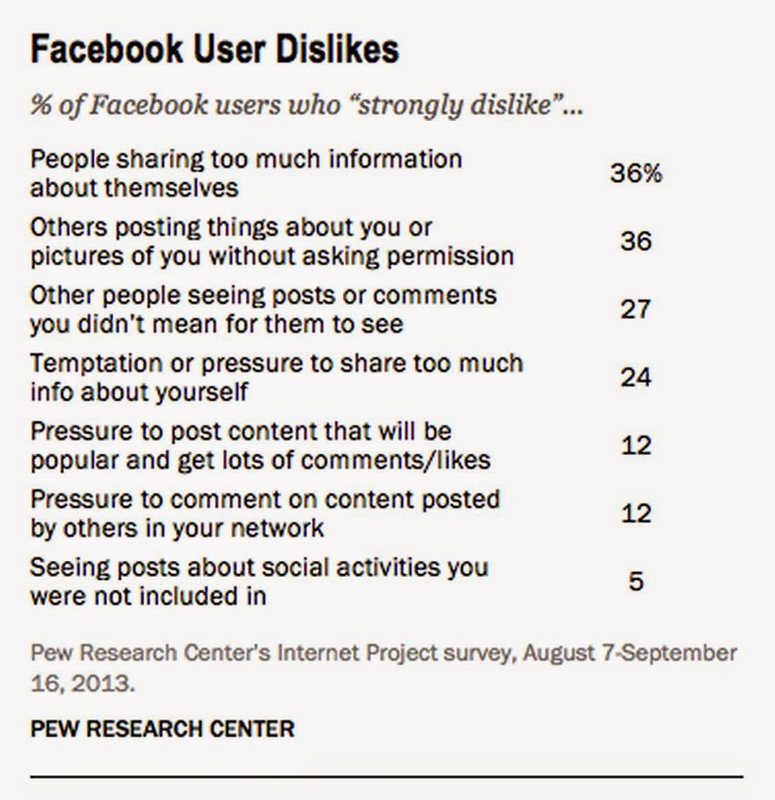 However, Facebook cancelled these changes after receiving negative feedback from users. ♦ April 4 and then April 12	Product (mobile-only) -	Facebook launches Facebook Home, a user interface layer for Android-compatible phones that provides a replacement home screen that makes it easier for users to browse and post. ♦ November 13	: Acquisition talks - News outlets report that Facebook offered to buy Snapchat for $3 billion USD but was spurned. ♦ December 18	Financial/legal - Facebook, Zuckerberg, & banks face IPO lawsuit. ♦ January 13: Branch Media, acquired and FB announced that working on the startup that will join Facebook to work on conversations products for Facebook that builds on similar ideas as Branch Media's products, while Branch Media's existing products will continue to operate separately. Facebook confirms that the acquisition is a talent acquisition. ♦ January 30: Product (mobile-only)	Facebook announces Facebook Paper, a separate iOS app that provides a newspaper-like or magazine-like experience for reading on the phone, scheduled for launch on February 3. Facebook also announces Facebook Creative Labs, an intra-company effort to have separate teams working on separate mobile apps that specialize in different facets related to the Facebook experience, rather than trying to make changes to Facebook's main web version, mobile version, or its iOS and Android apps, and says that Facebook Paper is the first product of Facebook Creative Labs. Facebook Paper receives mixed reviews, and some commentators note its similarity with Flipboard. 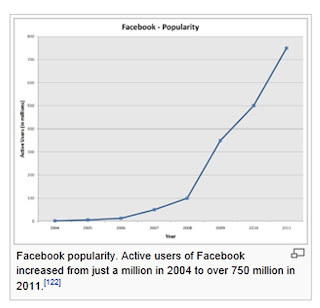 ♦ March 6: Announcement that Facebook will rollout modified news feed. The changes are along the same lines as those announced in the planned revamp announced March 7, 2013 (that was halted), but are more minor and focused. ♦ March 17: Facebook's "DeepFace" algorithm reaches near-human accuracy in identifying faces. ♦ March 25: Facebook purchases Oculus VR, Inc., a leading virtual reality companyfor $2 billion in cash and stock. ♦ March 27: Connectivity Lab as part of the Internet.org initiative, to bring Internet to everybody via drones, using "acqhires" from Ascenta. 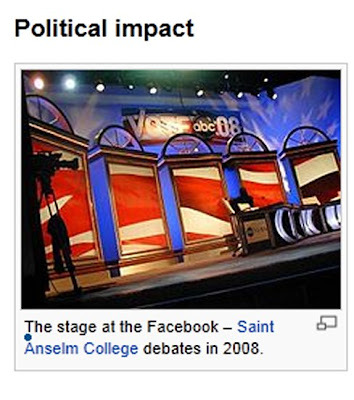 ♦ April 24: Announcement of FB Newswire which helps journalists find news news on Facebok. 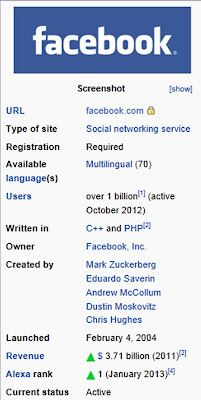 ♦ April 30: anonymous login is launched so that Facebook users can use apps without giving them their data. ♦ June 18: Facebook Slingshot, instant messaging application for sharing photos and videos with friends, for Android and iOS devices is launched. ♦ July 21: Facebook launches Save, a read-it-later feature that allows users to save links, places, and media pages for later perusl. ♦ September 15: Facebook cracks down on the Facebook profiles of drag queens in San Francisco (Userbase/controversy), asking them to switch to using their real names, and shutting down the accounts of those who refuse to comply. On October 1, Facebook clarifies to its real name policy and said that drag queens could continue operating their accounts. The company clarified that people should use their authentic real-world names but need not use their legal names. ♦ October 23: Pseudonymous app Rooms, is launched, enables FB users to create and participate in forums on any topic and do not need to use their real names. The forthcoming launch of the app esd reported on October 7. ♦ October 30: Custom Tor link created to make it easier for users to access Facebook anonymously in locations where it is censored. ♦ November 7: Facebook makes it easy for people to unfollow friends and pages they've liked, both while viewing pages in the feed and while reviewing summaries of the most prolific contributors to their feed. ♦ December 8: Keyword search rollout for all posts, part of Facebook Graph Search, to all US English users on desktop and using iPhones; Cited as a potential competitor to Yelp and other product recommendation engines and also as a potential way to surface old, embarrassing posts by people. ♦ January 8: Facebook acquires QuickFire Networks, a company that built a custom hardware and software platform for reducing video file sizes and upload times. The Wall Street Journal got the news earlier today, with confirmation later arriving on QuickFire’s site. ♦ January 16: Facebook open sources the Torch library, containing some of its deep learning tools in machine learning, including new code that runs 23 times as fast for training convolutional neural networks as the fastest publicly available code until that time. ♦ January 20: Facebook announces that it will show fewer hoaxes in the news feed, and mark items it identifies as potential hoaxes so that readers can view them more critically. this is the very good site to buy social services like instagram followers, likes, comments, share etc. they are also providing such services for facebook, twitter, pinterest, soundcloud, and many other sites, such a good service 24/7 service with money back guarantee.